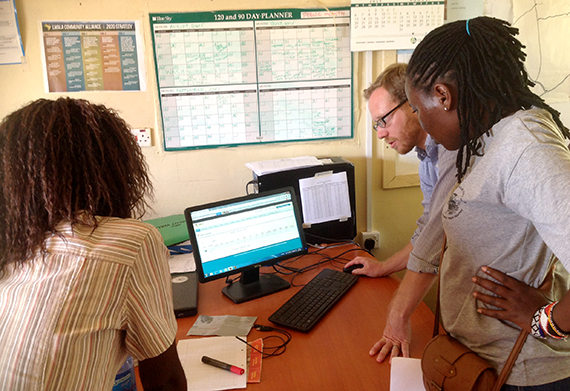 This is a guest post by Michele Ostertag, co-founder and director of Rafiki wa Maendeleo Trust. "Tell me and I forget. Teach me and I may remember. Involve me and I learn!" What an amazing trip! 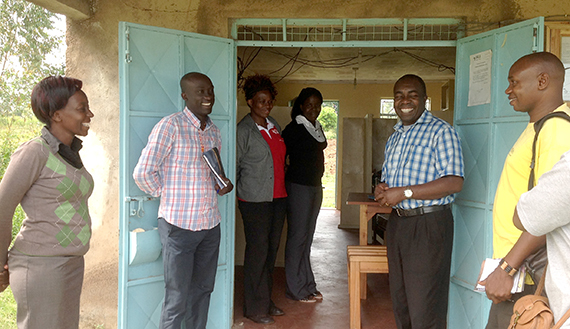 Thanks to our partner Segal Family Foundation and their Active Partnership Learning Visit Program, a few of us from Rafiki wa Maendeleo Trust recently had the opportunity to visit similar organizations that have effective working relationships with their local communities. At Rafiki, we coordinate a holistic range of programs to improve the lives of children in the Rarieda sub-County of Kenya. Though we've been working with the guardians of orphaned and vulnerable children in 35 villages for nearly ten years, we're always looking for ways to improve our model. We chose to visit fellow Segal grantees Lwala Community Alliance in Homa Bay County and Organic Health Response on Mfangano Island, not too far off the shore in Lake Victoria. Our three grassroots organizations have a lot in common: we are embedded in our communities, covering a similar geographic size area, similar populations, and similar holistic understanding of community needs especially when tackling some of our most pressing challenges, including HIV/AIDS, poverty, and education. During our visits, we spent a lot of time sharing experiences, challenges, successes, and local solutions that have worked for each organization. WASH Demonstration Site: Lwala has set up demonstration sites for agriculture and WASH (Water, Sanitation, and Health) at the entrance to their health facility. Both serve as valuable opportunities for the community to visualize different low-cost hand washing, pit latrine, and rainwater catchment options and to choose which is the most relevant for their home and lifestyle. 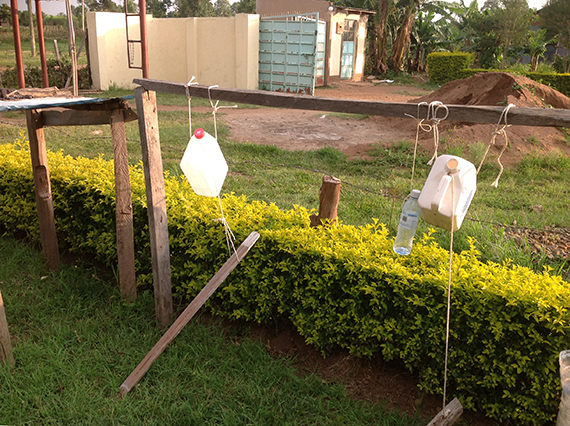 At Rafiki, we have set up hand-washing units at our local schools, but Lwala's display inspired us to extend our initiative so that we engage our local health facilities to install similar demonstration sites. We also hope to set up a WASH demonstration site next to our agriculture demonstration gardens. Community Accountability: Because WASH is fundamental to preventing disease, Lwala has made WASH at individual household levels a pre-requisite to participation in their programs. What a great way to make sure you are working with people who share the same values that you hold as a priority! 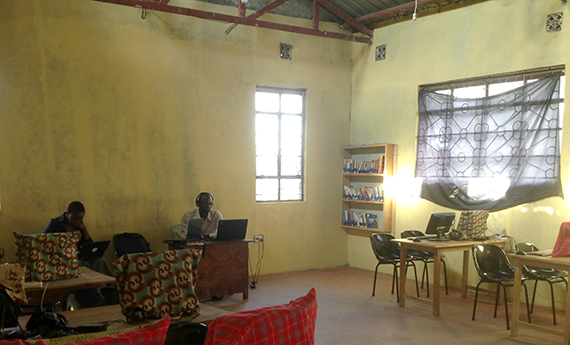 Youth-Friendly HIV Testing & Counseling: Organic Health Response's youth HIV program is integrated with its cybercafé. Several thousand youth on this island are part of this program where they have access to free, high-speed internet access and large-screen TV for sports under one simple condition: all members must check their HIV status every six months with a professional counselor. What a cool way to educate youth on HIV awareness and to keep them aware of their status! We saw this as a big opportunity for us to attract more youth in Rafiki's facilities, like the Rarieda Training & Resource Center. We can even extend this through our weekend movie matinees. Bicycles for Humanity: Organic Health Response enjoys a unique partnership with Bicycles for Humanity who trained them to become a bike workshop--providing employment, skills, training, business, opportunity, and economic development for the Mfangano community. 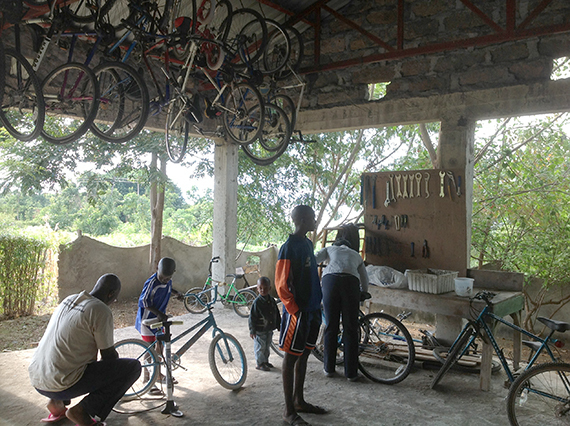 Their Bicycle Empowerment Centres is a self-sustaining entity. Looking at this model, the Rafiki team was prompted to research non-profit organizations who can compliment or fill gaps in the various training and business programs we run. By late afternoon, it was time to get back onto our little boat and make our way over to the mainland. We were grateful for the inspiring experience and opportunity to stretch ourselves, exchange solutions that have worked for each of our respective communities. The coolest part of our learning visit was the positive creative power that emerged we shared our ideas, information, and work. The learning visit was a positive way to learn the good practices of others so that we can spend our time enabling a greater and more lasting impact in the lives of our most vulnerable populations.